Homemade PIN Diode Geiger Counter in Development « Adafruit Industries – Makers, hackers, artists, designers and engineers! Sound-explorer and maker Kai Christian Bader is developing a homemade PIN Diode Geiger Counter. 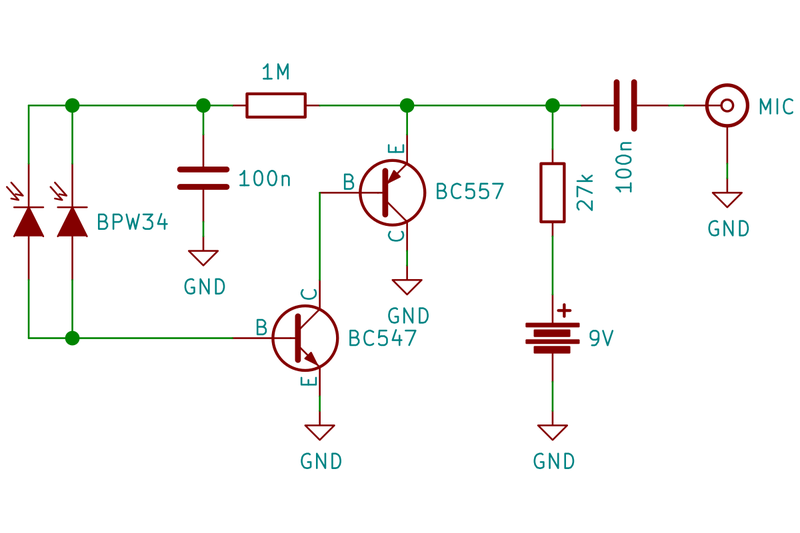 You can see in the schematic below the design uses common components like capacitors & resistors , one PNP and one NPN transistor, along with the PIN diodes. 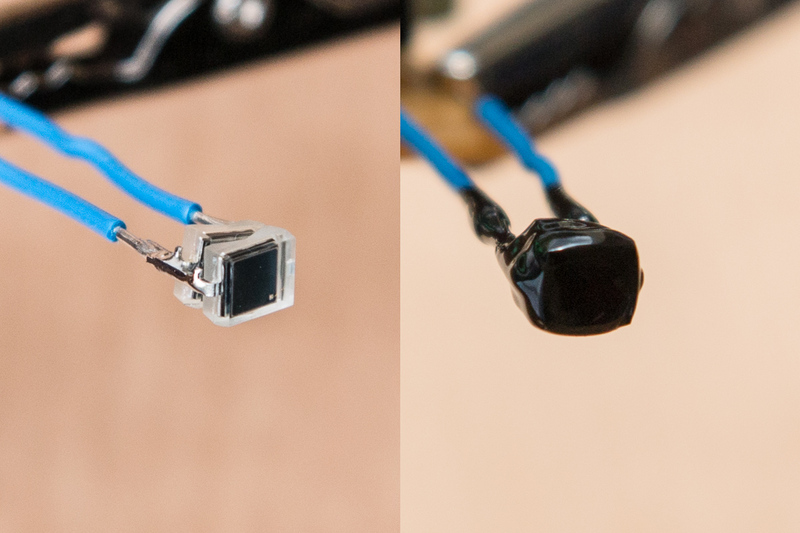 Only curious, but I wonder about the effects of placing the two photodiodes face-to-face, while still connecting them in parallel; would radiation still be read at the same level while further reducing the possibility of light hitting the diodes? Again only curious. The project is under development so as Bader says “stay tuned” for more.